^ Hilton, Christopher (2006). 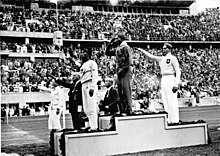 Hitler's Olympics: The 1936 Berlin Olympic Games. Sutton. ISBN 9780750942928.